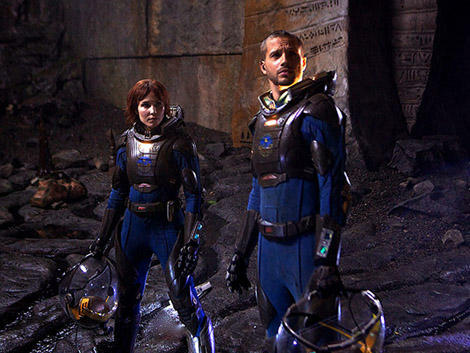 New “Prometheus” Image Arrives. | The Cineaste's Lament. ← “Battleship” Full-Length Super Bowl Trailer Lands. Here’s another look at the “Aliens” prequel directed by Ridley Scott. It’s probably self-evident, but in the shot, actors Noomi Rapace and Logan Marshall-Green are looking at something just out of frame. Clearly, it’s disturbing or curious or … creepy? This entry was posted in action, Film News, Sci-Fi, Trailer Trash and tagged Logan Marshall-Green, Noomi Rapace, Prometheus, Prometheus teaser image, Ridley Scott. Bookmark the permalink.